Lack of an effective marketing strategy is what causes many small businesses to fail. 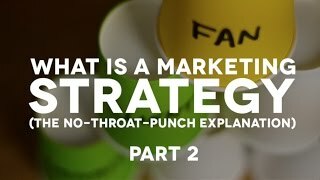 However, even the phrase “marketing strategy”, is normally something that makes me want to throat punch the person saying it, because few people fundamentally understand, what one is. 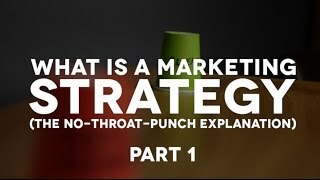 What I want to do is give you the “no-throat-punch explanation” of what a marketing strategy is, in such a way that you can take this concept and apply it into your business right now… with what you have. A simple action step you can take in your business right now is to write on post-it notes, what marketing tools you already have in place. Then put them in a logical sequence and start to map out how they could work together better. Identify where the cracks could be and where you’re currently losing potential clients or failing to maximise on the value of existing clients. Then start asking yourself, how could we bridge those gaps and turn our marketing tactics into marketing strategies.